In 1692, the “black cloud of the witchcraft delusion descended upon Salem Village.” Rebecca Nurse was a 71-year-old invalid who had raised a family of eight children. Her family had been involved in several land disputes, which could have caused ill-feelings among some of the residents of Salem. 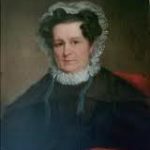 Nevertheless, most of her contemporaries sympathized with her. That her reputation was virtually unblemished was evidenced by the fact that several of the most active accusers of others were hesitant in their accusations of Rebecca, and many who had kept silent during the proceedings against others, came forward and spoke out on Rebecca’s behalf, despite the dangers of doing so. Thirty-nine of the most prominent members of the community signed a petition on Rebecca’s behalf, and several others wrote individual petitions vouching for her innocence. One of the signers of the petition, Jonathan Putnam, had originally sworn out the complaint against her, but apparently had later changed his mind on the matter of her guilt. 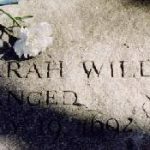 On June 29, 1692, Rebecca Nurse, Susannah Martin, Sarah Wildes, Sarah Good, and Elizabeth Howe were tried for witchcraft. During Rebecca’s questioning, the magistrate showed signs of doubting her guilt, because of her age, character, appearance, and professions of innocence. But every time he began to waiver on the issue, someone else in the crowd would heatedly accuse her, or one of the afflicted girls would go into fits again. When she realized that the magistrate and the audience had sided with the afflicted girls, Rebecca replied, “I have got nobody to look to but God.” She then tried to raise her hands, but the afflicted girls fell into dreadful fits at the motion. On June 30, the jury came back with a verdict of Not Guilty. When this was announced, there was a large and hideous outcry from both the afflicted girls and the spectators. The magistrates urged the jury to reconsider, which wasn’t uncommon in the seventeenth century. Chief Justice Stoughton asked the jury if they had understood the implications of something Nurse had said during her trial. During Rebecca’s trial, Abigail Hobbs had confessed to witchcraft and had testified that Rebecca was truly a witch. Nurse had said “What do you bring her? She is one of us,” meaning that Hobbs was a fellow prisoner. Rebecca was partially hard of hearing, and exhausted from the day in court. When she was asked to explain her words, “she is one of us,” she didn’t hear the question. The jury took her silence as an indication of guilt. Rebecca’s family immediately did what they could to rectify the mistake that had caused her to be condemned. She was granted a reprieve by Governor Phips, but when it was issued, the accusers began having renewed fits. The community saw these fits as conclusive proof of Nurse’s guilt. On July 19, 1692, Rebecca Nurse, Susannah Martin, Elizabeth Howe, Sarah Good and Sarah Wildes were hauled in a cart to Gallows Hill. On the gallows, Rebecca was “a model of Christian behavior.” Legend says that at midnight Francis Nurse, his sons and sons-in-law found Rebecca’s body in the common grave where it had been flung and carried it home for a proper burial. 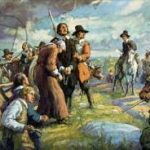 Public outrage at Nurse’s conviction and execution has been credited with generating the first vocal opposition to the Salem witchcraft trials. 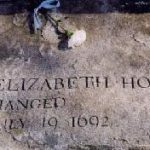 In 1711, her family was compensated by the government for her wrongful death. 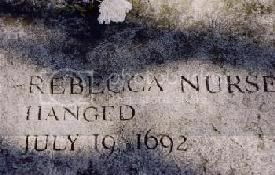 Rebecca Nurse’s story is well-known, and has been written in many historical and fictionalized accounts of the trials. She is a central character in Arthur Miller’s play, The Crucible. The PBS film, Three Sovereigns For Sarah, depicts Nurse and her family members as main characters, and features Vanessa Redgrave as Sarah Cloyce – Rebecca Nurse’s sister – who was imprisoned for more than a year, but was released after the witchcraft trials came to an end.